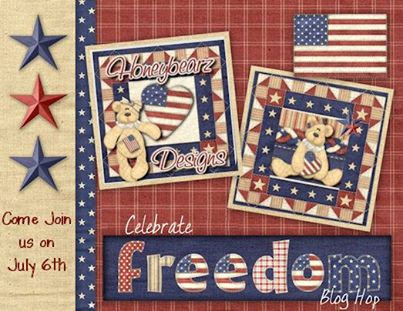 Welcome to our celebrate freedom blog hop! You should have arrived from Tabetha's Wonderful Blog. I want to first of all Thank all of the men, women and their families for their service and sacrifice. Remember, freedom isn't free! I hope you will enjoy our hop! There is some wonderful prizes from some generous sponsors, so please leave some encouraging comments for all the wonderful blogs in the hop! Next up is Lori's Fabulous Blog! Love the card TFS your creative card! Very cute! Glad to be on the hop with you! I love your card with the stars shooting off the front!!! Glad to be in this hop with you and thank you for calling my blog Fabulous!! What a great card! I am now a follower of your blog! Wow - what a festive card and soooo colorful - TFS and hopping with me today! Love your card! Love the sparkle and dimension with the stars! Very PRETTY! with such FUN details! !Love it! Love your "exploding" card! Awesome idea. Great hopping with you, Sandy. I really like this one. It is fun for kids and adults. Great. Hi there, I'm stopping by from the Celebrate Freedom Blog Hop! I love your card and the embellishments you used. Love the bling on your card. Thank you for sharing with us. Oh, What a FUN Card!!! Thanks for Sharing! Great project! Loving the hop. I'm your newest follower! Thanks for the giveaways - great sponsors!! p.s. did you know you have word verification on? It makes it a lot easier to leave comments if you disable it. let me know if you need directions. 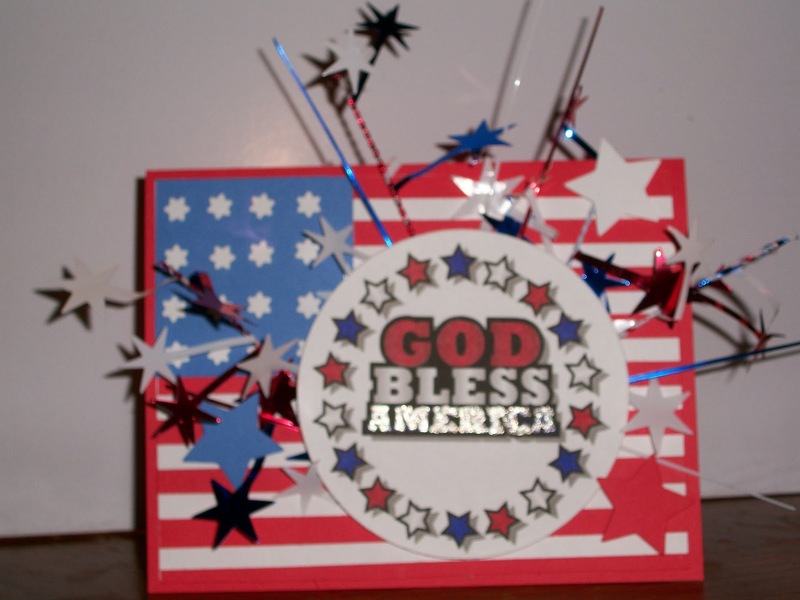 Great July 4th card! Love the shiny embellishments! What a awesome card. I love all the sparkle. TFS! Sarah I love your card it is very festive. I love all the embellishments you used on it. It makes it very sparkly. Thank you for being a part of this hop with me. Sarah - the card is awesome. It looks like fireworks are going off! Very cool.